Greater Good Realty isn’t just in the business of selling homes, we’re in the business of helping people. We make it a point to give back to the San Diego area because we care about what happens in our community. And we aren’t just saying that. Greater Good Realty donates 10% of our commissions to various charitable and nonprofit organizations throughout San Diego every year. This month, we’re highlighting the Monarch School, who received a $2,700 donation from Greater Good Realty last year. 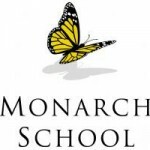 The Monarch School is a unique public-private partnership between the San Diego County Office of Education and the nonprofit Monarch School Project, a 501(c)(3) organization. The county provides the school with teachers and accreditation, which the Monarch Project supplements with services such as after school programs, counseling, and healthcare. The Project also provides students with food, clothes, and other forms of family assistance. The issue of homelessness in San Diego is a very real problem. The number of families that don’t have a permanent place to live is on the rise, especially after the recent economic crisis. According to San Diego County’s Office of Education, there are 15,870 homeless students living in the county. What’s more, most of those students happen to be very young. Around 40% of the county’s homeless population is made up of families, with three out of four of the children in those families being of elementary school age. Students who attend the Monarch School often live in shelters, motels, or in cars, and are absent from class for long periods at a time. The average student is already three years behind their grade level when they first come to the Monarch School, but for every six months they spend there, he or she will progress more than a year academically. The Monarch Project is able to achieve this by eliminating some of the barriers homeless students encounter when getting an education. They also provide a variety of programs and services that simply wouldn’t be available at traditional schools. To keep up its good work, the Monarch Project depends on volunteers and donations. They’ve already received a great deal of support from organizations and individuals throughout the San Diego area, who, like Greater Good Realty, want to see every child get an education. If you are interested in donating to the Monarch Project or would like to volunteer with the organization, you can find more information here.